And some people still wanted him to move to wide receiver! This video shows highlights from his senior season as the Marlins quarterback and ends with highlights from his US Army All-American game where he dominated the best high school athletes in the nation. Not only is Brian Robison one of the top defensive ends in college football (recently named to the Bednarik and Hendriks Award watch lists) but he's also a track and field All-American. Austin's KXAN News ran a piece on the Longhorn's summer workouts that included an interview with the senior DE about his track career and his transition back to football. 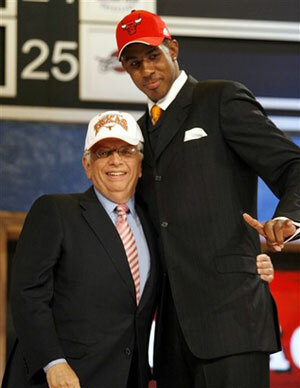 With hat in hand, LeMarcus Aldridge stepped up to the stage in New York as the second overall pick in the 2006 NBA Draft and the highest draft pick ever to come out of the University of Texas. NBA commissioner David Stern handed Aldridge his Chicago Bulls cap and with true Texas hospitality, Aldridge handed one right back. He slapped a Longhorns hat on the commissioner's head, flashed the hook'em horns and smiled for the cameras. Life is good for the Longhorns. This is a Horns-centric highlights clip featuring the top three picks (Andrea Bargnani, Aldridge & Adam Morrison) in the draft, PJ Tucker's 35th overall pick by the Toronto Raptors, Daniel Gibson's 42nd overall pick by the Cleveland Cavaliers and Commissioner Stern trading barbs from the podium with ESPN's Dan Patrick. 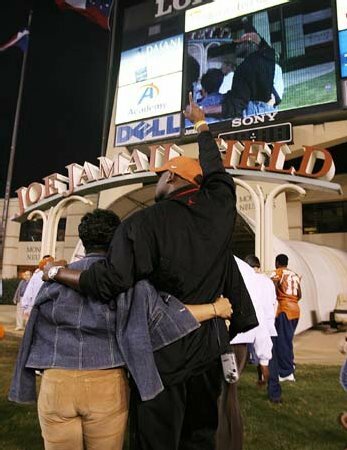 This is from ESPN's Gameday Final just after the conclusion of the 2005 Rose Bowl and Vince Young's MVP performance. You can still sense the buzz in the studio from the exciting fifth ranked Longhorns win over the #12 Michigan Wolverines. It's packed with highlights and with rare praise from ESPN for the Texas Longhorns program. 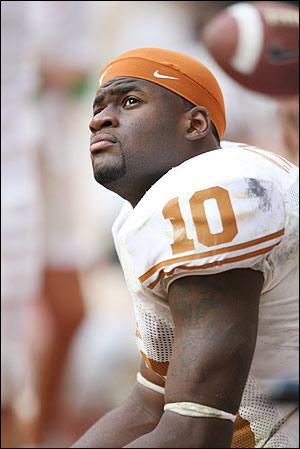 They even cautiously speculate that Vince Young and the Longhorns might return to the Rose Bowl for the National Championship game. "Can you imagine if Vincent Young and those wide recievers, with the vertical threat, gets added to this offense next year? It would be unstoppable." 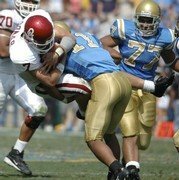 Plano East HS (Plano, TX) blue-chip linebacker, Keenan Robinson was one of the first to commit to the Texas Longhorns class of 2007. He's one of the top LB prospects in the country and already made an impression on his future coaches and teammates at a recent Texas mini-camp. You can see from these clips that he's made some impressions before. He's 6'3", 210 pounds and passes the eyeball test with flying colors. Earl Thomas is 5'7", 174 pounds, and runs a 4.4 40. He's a dynamic athlete from West-Orange Stark HS (Orange, TX) and is it just me or is this recruiting class loaded with talent? Thomas will likely compete for early playing time on the Longhorns defense, but this highlights video shows that he can tear it up when he has the ball in his hands. Video originally at Sunshine Preps. Matt Nader's life must be pretty good right now. He's one of the top OL prospects in the state. At 6'6" and 295 pounds he's a major force on his Austin Westlake High School football team. And as one of the first to commit to the Longhorns 2007 class, he knows he'll only have to drive an extra 15 minutes or so to push people around the football field next year. Not to mention he'll never be too far from that family fridge that he, no doubt, knows and loves. And you know that fridge is going to be quite an attraction with Matt's future teammates. Mrs. Nader might just end up in charge of feeding the entire Texas O-line on weekends. Oh well, those guys can't eat all that much, can they? From the very first game, you could tell that the 2005 season would be special. Jamaal Charles and Henry Melton dazzled, the defense was fierce, and Vince Young was still Vince Young. The tough win at Ohio State, and the stuffing they beat out of Rhett Bomar and the Oklahoma Sooners, had fans reserving tickets to Pasadena before the regular season was even half over. 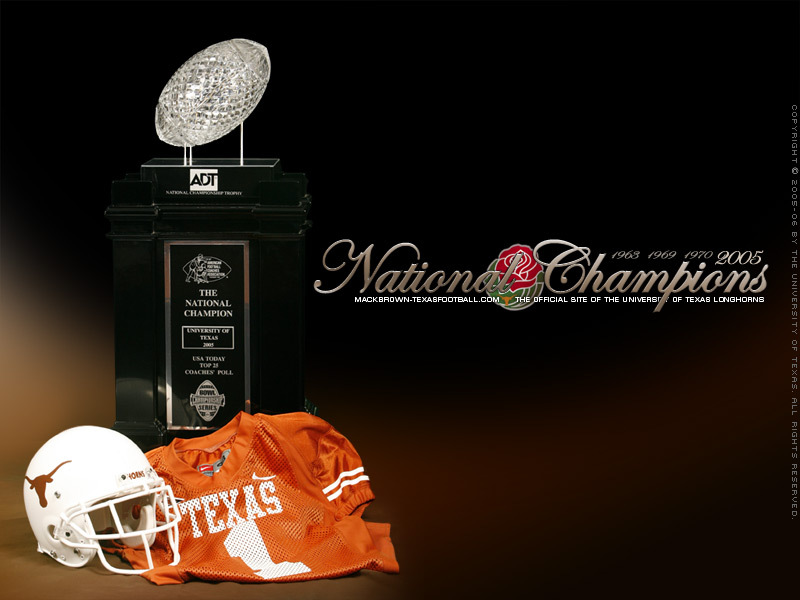 This video is a game-by-game recap of the 2005 National Championship Season. It features the original play calls and just about every big play from a season in which they led the nation in big plays with a bijillion. Video created by Thelonious Monkey . Before the 2006 NFL Draft, football experts all over the country revealed how little they actually know about football. 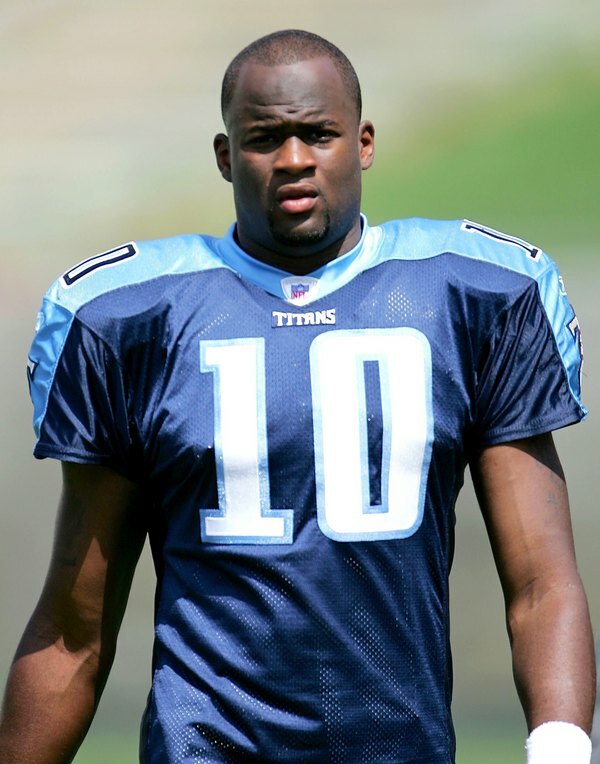 Some people, like ESPN's Merril Hoge, believed that Vince shouldn't even be a first round pick. This clip from ESPN's NFL Draft Special opens with a great piece on the "Vince Vibe" and ends with Hoge trying not to say something stupid. Brenham, TX wide receiver Brandon Collins is the most recent prospect to give his verbal commitment to the Longhorns 2007 recruiting class. Also a basketball standout at 6'0" and 167 pounds, the Brenham HS senior already tasted a championship in 2002--as a ballboy for his football team. 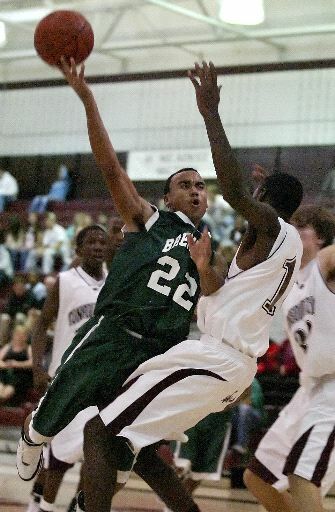 That was Limas Sweed's senior year at Brenham, when he helped lead the team to the 4A Division II championship. 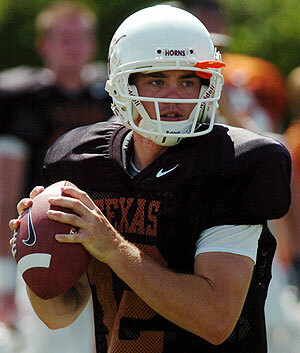 Collins committed to the Horns on 6/6/06. A good omen, I hope. Collins was looking at both TCU and Miami, but neither offer could beat out the one that came from UT. "I knew that I wanted to go to Texas if I got the offer," Collins said Tuesday afternoon. "I talked with coach Brown last night and went ahead and did it. "I had a pretty good camp, I guess I did well." After last year's controversial Oklahoma/Texas Tech game, a loud Red Raider fan made it impossible for members of the media to conduct their post-game interviews. 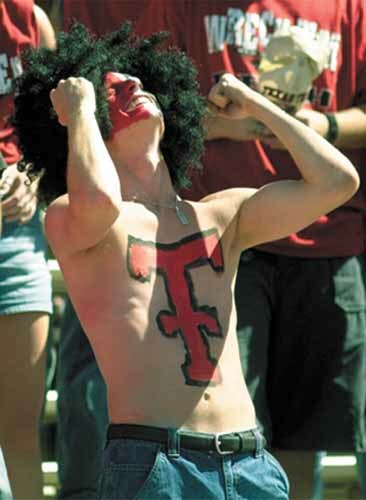 He also made it clear that it's not too hard to sneak a flask into Texas Tech's football stadium. This must have been very frustrating for the journalists trying to interview the various Sooners, but now it's just hilarious. "I paid to get in the game I can say whatever I want!" Three months until the start of the 2006 college football season. So let's continue to revel in the National Championship. This is one of my favorite moments from the Rose Bowl post-game show. 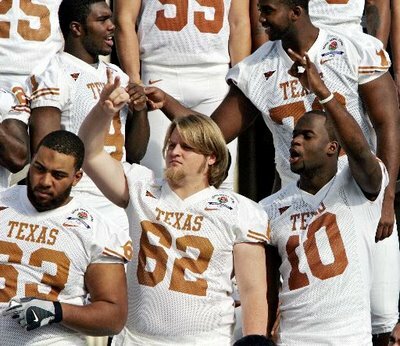 The Texas O-line (Jonathan Scott, Justin Blalock, Kasey Studdard and Lyle Sendlein) crashed the ESPN set and celebrated on live TV. They try to get serious and participate in an impromptu interview, but what fun is that? Apparently Rodney Peete shot off his mouth and guaranteed a USC win in the Rose Bowl. He swore he'd wear a Texas jersey if the Trojans lost. 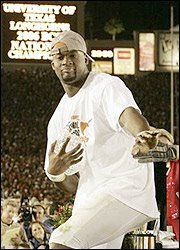 So Vince Young appeared on the show shortly after the Rose Bowl to collect on the bet and talk about his future in the NFL. Peete wore Vince's #10 jersey, but got the last laugh by making Vince milk a cow on national television. I truly believe Vince could outrun your average cow, but he sure seems a bit lost trying to milk this one. He would have gotten more milk out of a bull. Beaumont, TX star DB, Ben Wells, along with fellow Longhorn commit Curtis Brown are considered the top two defensive back prospects in the state of Texas... and here's your proof. This video shows Wells as an explosive and dynamic defensive player with game changing impact. Sunshine Preps video by way of flywhiteguy08. 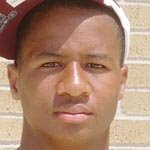 Gilmer, TX blue chip WR, Curtis Brown was among the first to verbally commit to the Longhorns 2007 recruiting class. He's projected as a defensive back at Texas, but this video shows just how fast (4.4 40-yard dash) and dominant he was on offense in his junior season at Gilmer High. This speedy star could really play defensive back or wide receiver in college, but when Brown has the ball in his hands he creates magic. The 5'11", 175-pound Brown has amazing speed and displays amazing ability to weave through traffic. 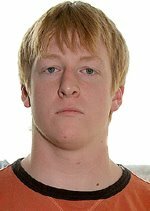 He is the classic game-breaker type player, the kind of player who can turn what would be a two yard loss on a screen pass into a 20-yard gain. As a junior he had just under 1,000 yards receiving and 10 touchdowns. Brown also scored eight rushing touchdowns and rushed for 750 yards. Before the Longhorn's 2005 National Championship season, ESPN sent Kirk Herbstreit to Austin to profile the team in anticipation of a big season. The clip includes interviews with Vince Young and coach Mack Brown and ends up being more a profile of Vince than the whole team, but that's okay--I understand. 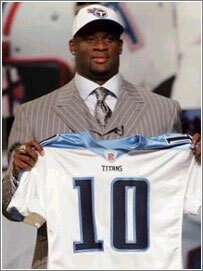 It's just nice to remember how it felt to head into a new season with Vince Young on the team. While searching for some good video on Earl Campbell, I found this clip of historically brutal hits in the NFL. Earl shows up about a minute into this video. He's the one doing the hitting. 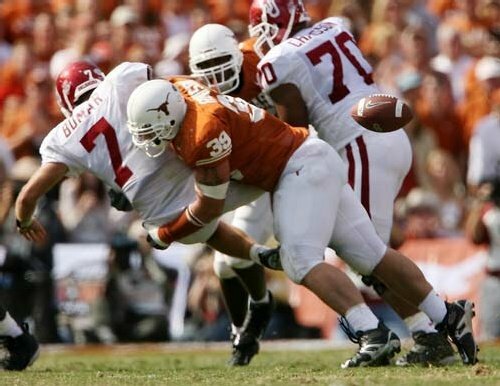 The Longhorns picked up their second Defensive Tackle commit for the class of 2007. He's a 6'2" 160 pound lineman from Aledo, HS (with fellow '07 recruit Kyle Hix). He recorded 78 tackles in his junior year and still seems to have room for growth. As is, he turned in one of the top five performances by a defensive lineman at the U.S. Army All-American combine for juniors earlier this year. See Sunshine Preps for more recruiting videos. Kyle Hix, the 6'6", 290 pound OT from Aledo High School was among the first to commit to the Horns' 2007 class. He has a great frame and he's one of the top OL prospects in Texas. From this highlights video, he seems like a dominant tackle and a good finisher. He'll likely end up as a four-star prospect. 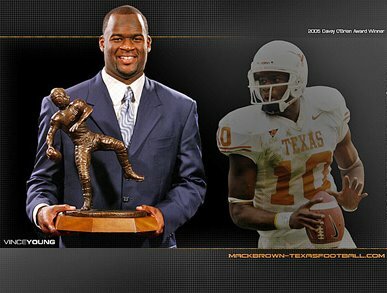 On December 8, 2005, Vince Young won the Davey O'Brien Award as the nation's top quarterback and the Maxwell Award as the best player in college football. That same night, Michael Huff won the Jim Thorpe Award as the best defensive back in the country. This video is from ESPN's 2005 College Football Awards broadcast and shows the presentation of all three trophies. 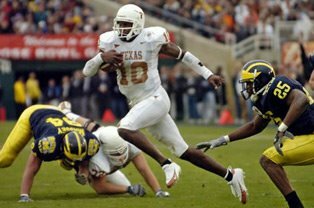 Garland High School's Track and Field/Football stand-out, Malcolm Williams verbally committed to play football with the Texas Longhorns in March of 2006. He's one of the top wide receiver prospects in the state and by watching this video, you can see why. On the recruiting front, Williams says he's firm with his pledge to Texas - "It's the same. I'm happy with where I'm at"--despite the efforts of other programs trying to get him to reconsider. "Some are trying a little bit. Some schools still write and stuff but that's about it. For the most part, I don't even really look at the letters," he said. The last play on this highlight reel should also make you smile. See more videos at Sunshine Preps.